“TSOP” by MFSB, “Love’s Theme” by The Love Unlimited Orchestra, “Space Race” by Billy Preston, “Frankenstein” by Edgar Winter Group, “Popcorn” by Hot Butter,” “Joy” by Apollo 100, “Rock And Roll” by Gary Glitter, “Dueling Banjos” by Eric Weissberg & Deliverance, “Hocus Pocus” by Focus, “The Hustle” by Van McCoy, “Soul Makossa” by Manu Dibango, “Feels So Good” by Chuck Mangione, “Scorpio” by Dennis Coffey and “Tubular Bells” by Mike Oldfield – the 1970s had its share of some of the greatest instrumental hits of all time. While many of these tracks are truly not instrumentals because they either have wordless singing or minor vocal parts consisting of the title being shouted out several times over the duration of the song, they are still rightly classified as instrumental hits. Today’s jukebox classic stands taller than most on the above list of ‘70s instrumentals. With its propulsive disco beat and infectious horn part, “Pick up the Pieces” managed to set throngs of dancers into motion on disco dance floors around the world. The song crossed over into the disco charts and also spawned an answer record recorded by James Brown’s backing band The J.B.s, called “One By One.” On the record, the J.B.s are credited as AABB, or the Above Average Black Band in homage to AWB. It was also sampled by the likes of The Beastie Boys, TLC, Too Short, Ice Cube, Eric B. & Rakim, Nas, Arrested Development and A Tribe Called Quest. The Average White Band originated in Scotland in 1971 and consisted of Allan Gorrie (bass, guitar and vocals), Malcolm Duncan (tenor sax), Onnie McIntyre (vocals, rhythm guitar), Michael Rosen (trumpet), Roger Ball (keyboards and sax) and Robbie McIntosh (drums) and Hamsih Stuart (guitar, bass and vocals). Even though one of the group’s earliest gigs was as a support act to Eric Clapton’s Rainbow Concert in 1973, when their debut album Show Your Hand was released on MCA Records the same year, it sold poorly. For their second album, the group relocated to Los Angeles and signed with Atlantic Records. The album, titled AWB was produced by Arif Mardin and ultimately topped the U.S. album charts on the heels of its chart-topping single. 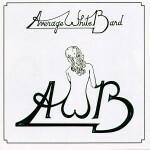 It was also known to AWB fans as The White Album as it featured stunning graphics on a white background that gave the band its memorable logo. At the height of their initial fame, tragedy struck when drummer and founding member Robbie McIntosh died of a heroin overdose at a party in 1974. Allan Gorrie also overdosed at the same party, but Cher kept him conscious until medics arrived and he survived. Such was the “swinging” party scene of mid-70s Los Angeles. As a result, McIntosh was replaced by Steve Ferrone. The band continued to release albums well into the 1980s (including a duo album with Ben E. King on vocals), and scored several hit singles including “Cut The Cake” (#31/1974), “Queen Of My Soul” (#23/1976) and “Let’s Go Round Again” (#12/1980). By the early 1980s, Ferrone left the group to work with Duran Duran, while Hamish Stuart went on to tour and record with Paul McCartney. The group still exists today with McIntyre and Gorrie still on board. Their last album was a live album called Times Squared, released in 2009. The flip of today’s single is an exceptional cover of The Isley Brothers’ top twenty R&B hit “Work To Do,” which was also covered by The Main Ingredient and Vanessa Williams. 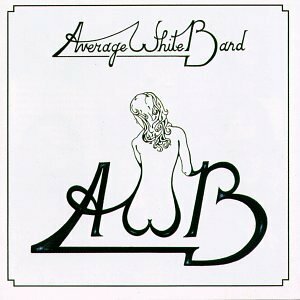 Posted: May 12th, 2015 under Average White Band, Music, R'n'B/Soul, Rock.